Originally known as the Soundelux U195, the Bock Audio 195 is custom built, handmade large diaphragm FET microphone with a fixed cardioid pickup pattern. David Bock, who had designed the Soundelux microphones, acquired the rights to his designs and has reintroduced several of them under his own name. See the above link or the sidebar link to the Soundelux 195 for additional information about the Bock 195. 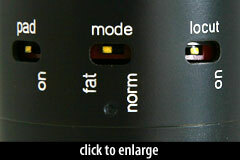 The Mode switch offers two modes of operation, FAT and NORM. 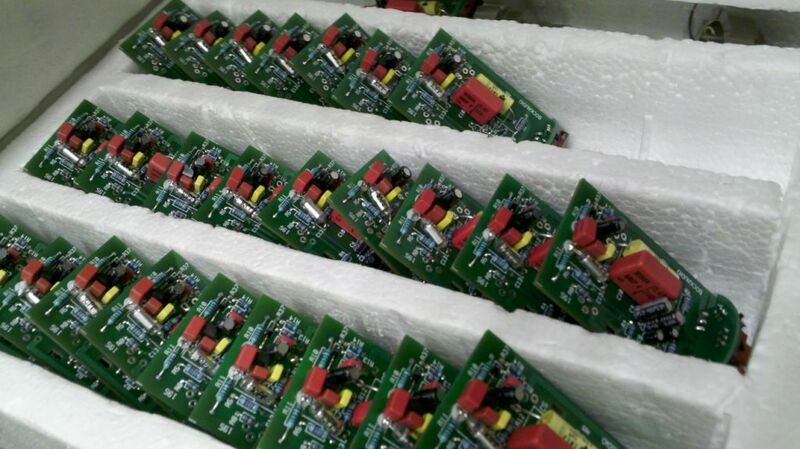 FAT is a low end boost between 10Hz and 400Hz for that distinctive sound of older tube classic cardioid condensers. NORM is extended flat response with slightly elevated high end typical of FET condensers. The switch manipulates the negative feedback built into the circuit; in FAT mode, mid-to-low frequency negative feedback is reduced. The PAD reduces the mic sensitivity by 10dB for louder sources such as a guitar amp. This is a non-capacitive pad; it works by changing the polarization voltage of the capsule. The LOW CUT reduces frequency response by 10dB at 20 Hz to clean up the bottom end of vocals, bottom heavy source or a boomy room. The microphone does not have a voltage multiplier; therefore, capsule polarization voltage comes directly from the phantom power supply. 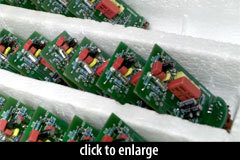 The mic requires a full 48VDC, if not 52VDC for proper operation. The capsule polarization voltage, assuming a sane power supply, is 45V (with pad disabled). The 195 amplifier circuitry offers superior response to wider dynamics while avoiding the typical transistor low-level high-order harmonic distortion commonly found in other FET mics. The BOCK 195 also contains an output transformer many times the size of what is used by competitors, to increase the low frequency headroom beyond that of other transformer coupled mics. 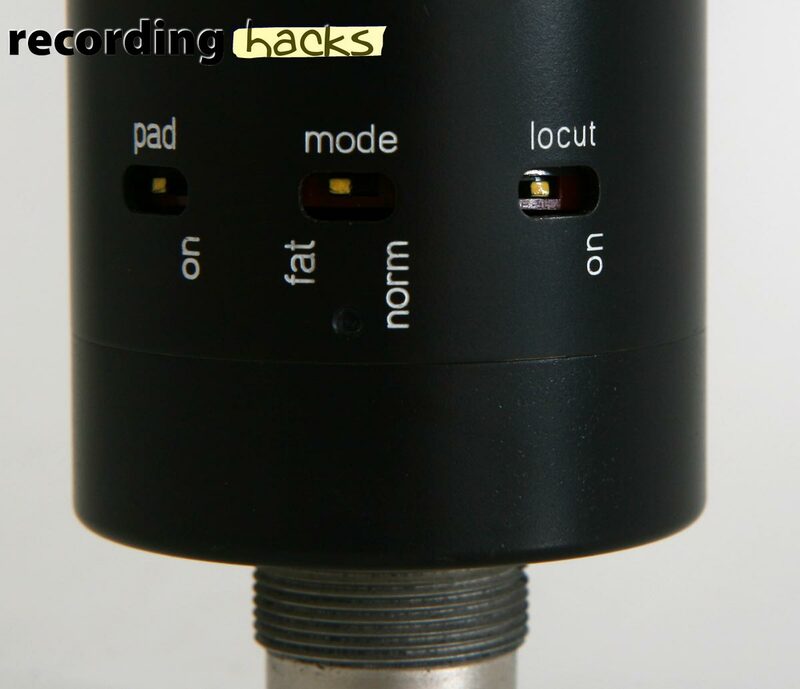 The mic’s cardioid capsule is a K67-type, dual-diaphragm capsule made in China. Rather than using an off-the-shelf Chinese capsule, mic designer David Bock specified a customization to improve the capsule’s response. No matter what the source, I find the sound to be dense and meaty with highs that are crisp but smooth, and lows that are full but not muddy. I tend to use it for tracks that I want stand out in a mix. In comparison to mics I am familiar with, such as the Shure SM81 or CAD E series, the 195 possesses incredible depth and dimension that captures much more of the source. If I had to sum up the 195 in one word, it would be surprising. It has a sound that is at once very familiar, yet managed to surprise me constantly in terms of how it sounded in different applications… And that is a positive, not a negative characteristic… [It] will complement any microphone collection. Frequency Response - Cardioid (“Normal”)Click Graph to Compare! Frequency Response - Cardioid (“Fat”)Click Graph to Compare!